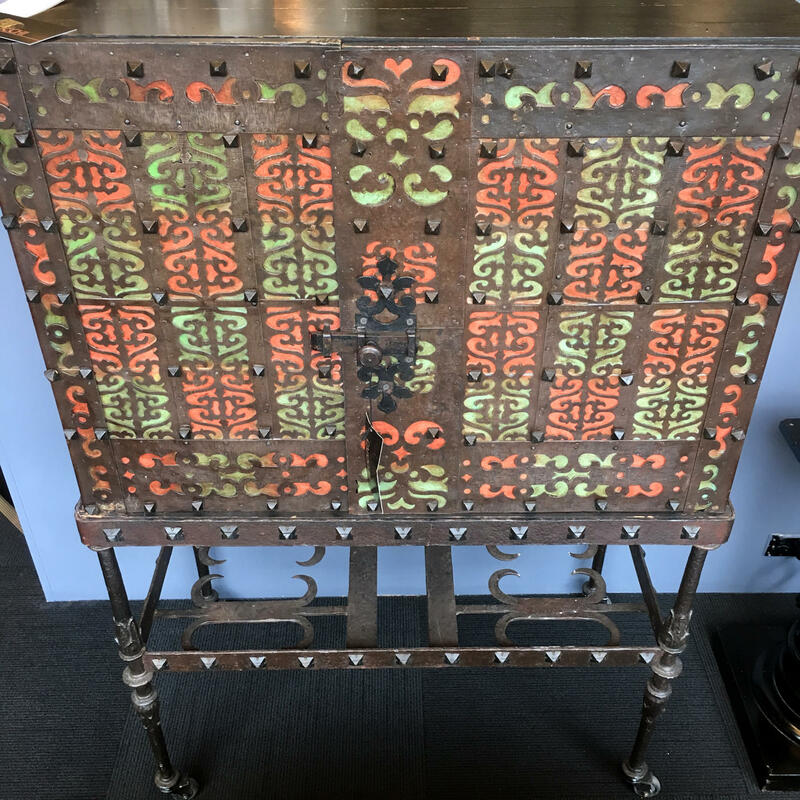 Interesting Spanish blacksmithed wrought iron cabinet, the forged decorative iron encasing a painted wooden body. 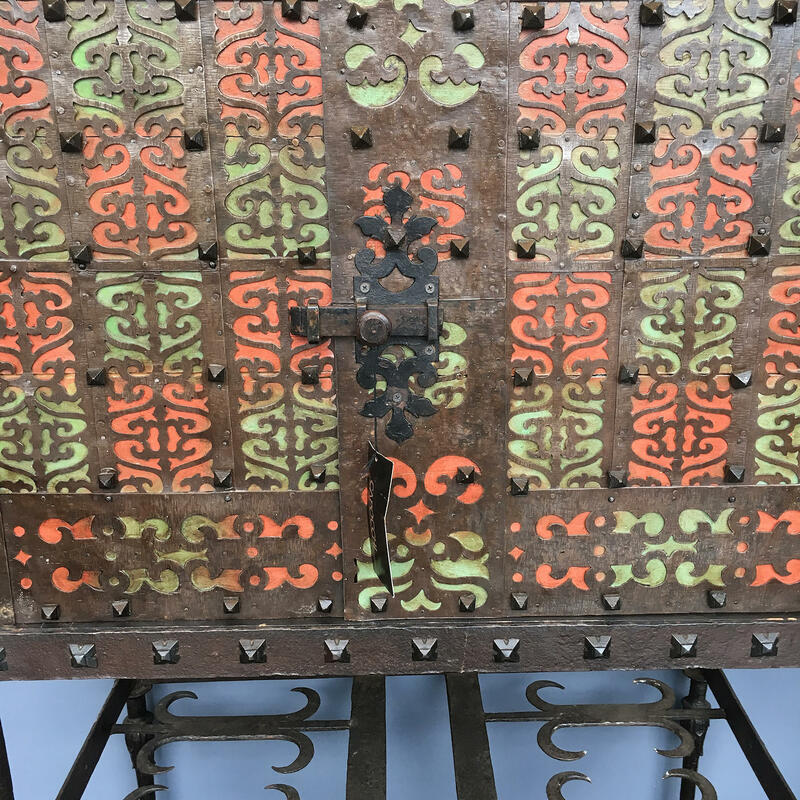 The piece rests on an iron base that is on castor wheels. 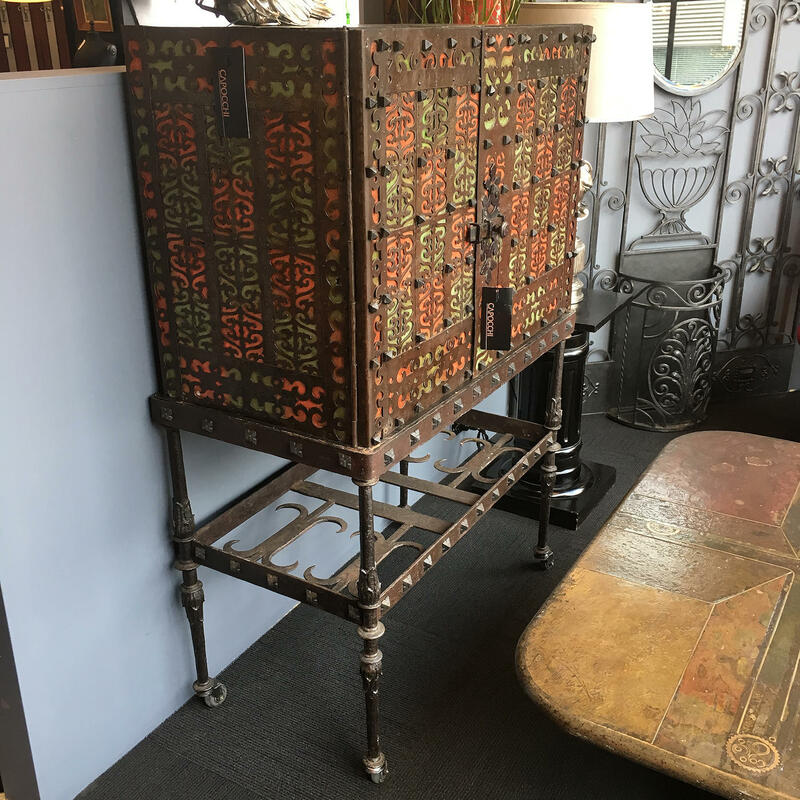 Much in the style of the antique Spanish and Oriental influenced Vargueno cabinets which first appeared during the middle ages and were used for storing precious documents or jewels.